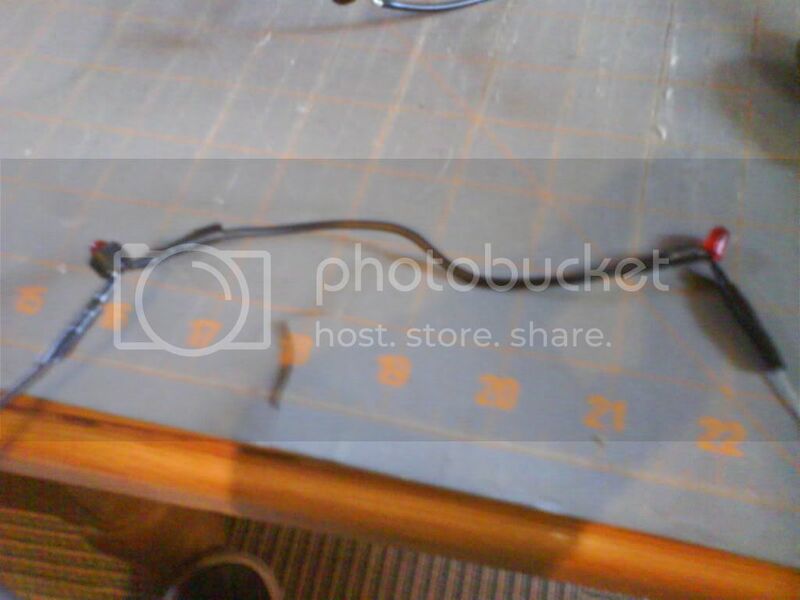 My LEDs and holders, the holders are not necessary. 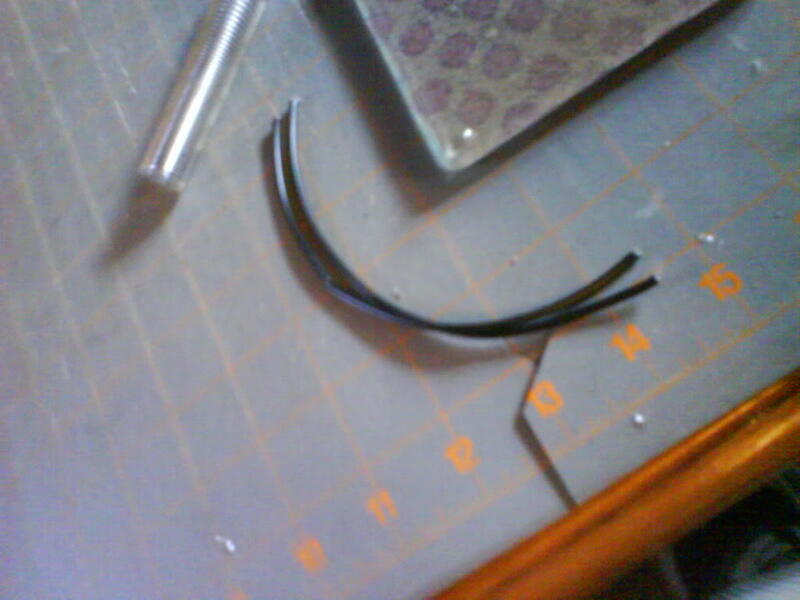 Cut some lengths of wire and strip them back. 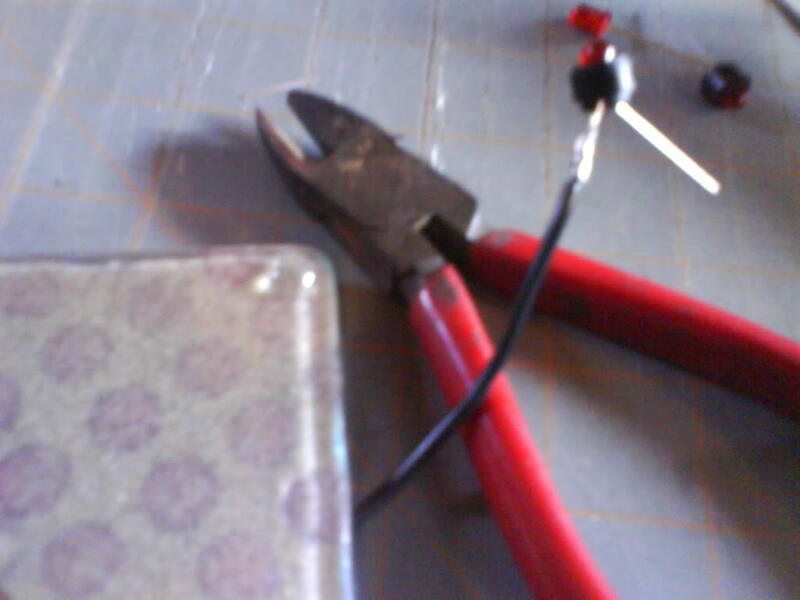 Then solder it, apply a little solder to the iron, and then place the iron under the section you are soldering, and the solder on the opposite side until it melts through and coats the connection. 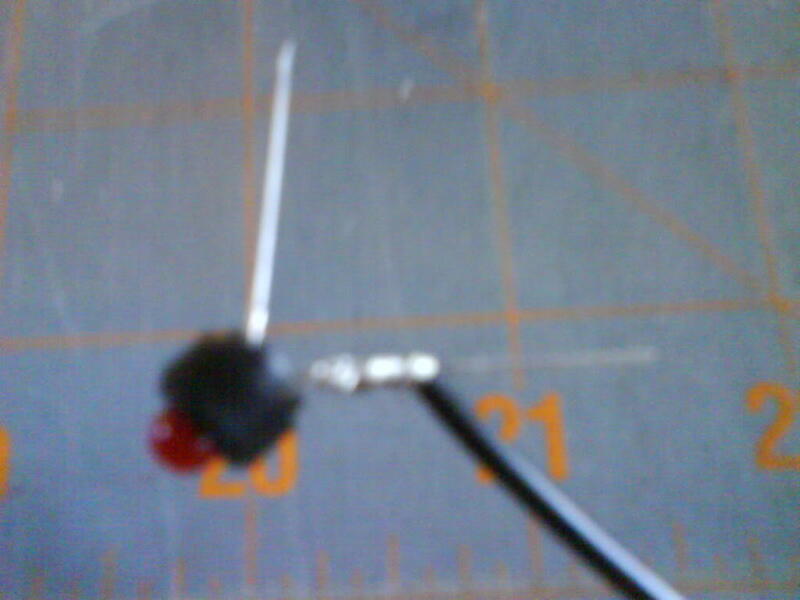 Then join the negative leg of the next LED to the wire you have just soldered to the positive leg of the last. 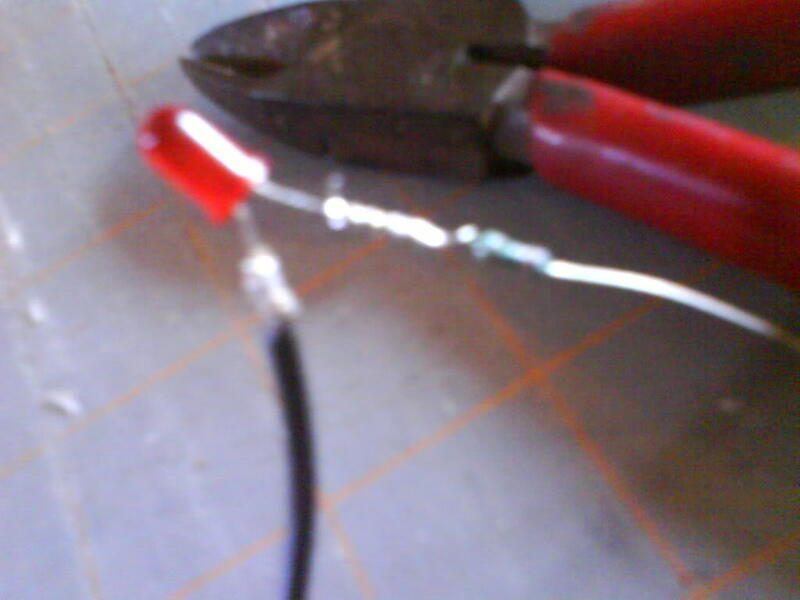 At the end attach a resistor to the last positive leg. 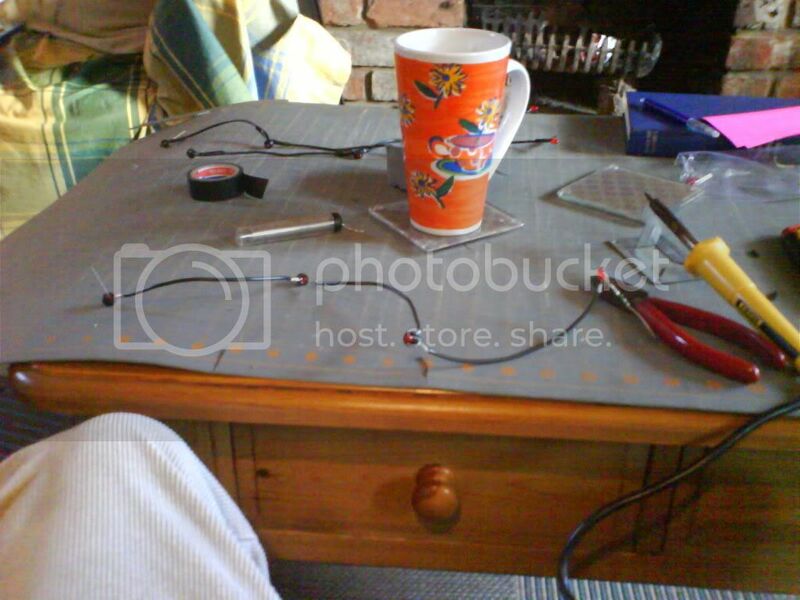 Here are all the LEDs and resistor connected, and my coffee table come worktop HAHA. What you need to do is if the light is direction, diffuse the top of the LED. 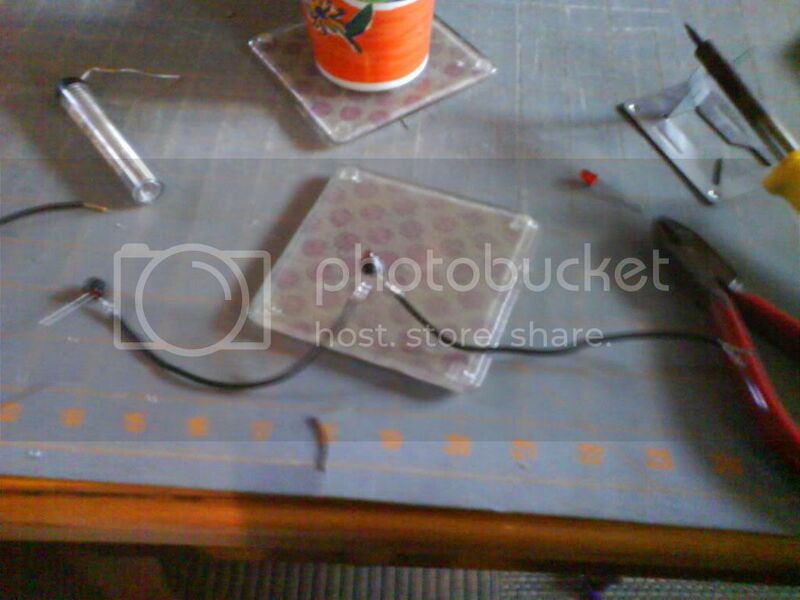 You can do this in two ways, preferably get some fine sandpaper and go at the top of (and surrounding top) of the LED. This will remove the directional light of it, and diffuse it so it looks much sofer and you can actually look at it. If you're feeling dodgy, and don't want to fork out the 50 cents for sand paper, you can get pliers and crush the top of the LED. And you should of wired them in paralell instead of in series like you did, that way each led gets the same maxamount of voltage instead of evenly distributing it to each led. 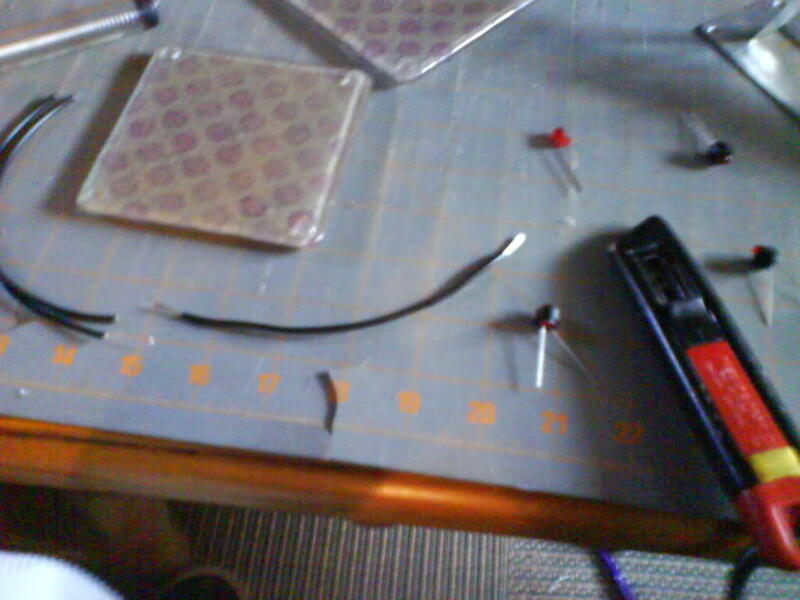 Wiring in paralell will make them brighter. 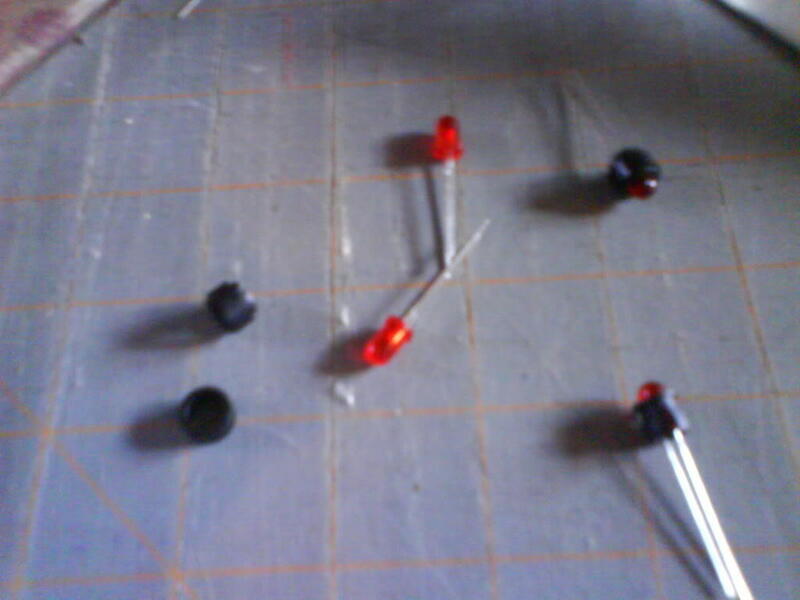 Due to the Led calc that i used, it was ok to wire them in parallel upto 4, if wiring 5 then it must go in parallel. 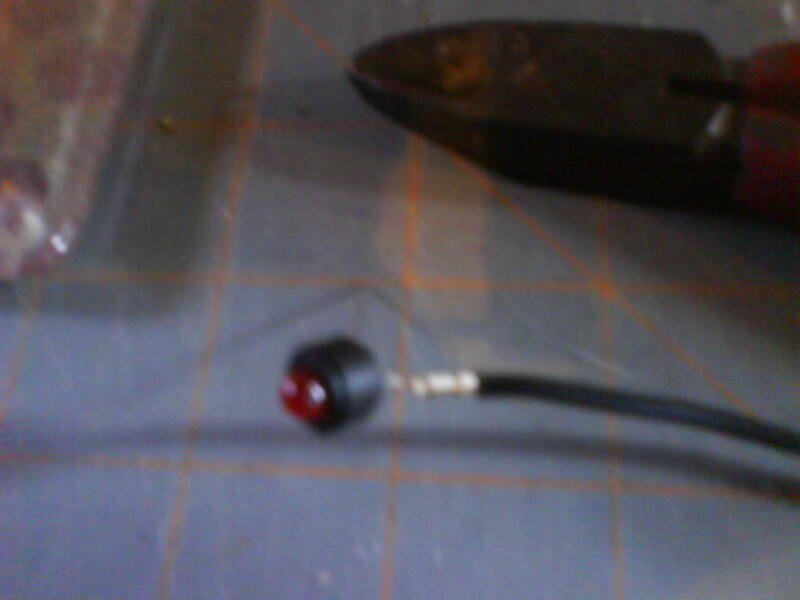 Though i used the spec of the bright leds, not the actual LEDs that i got. almost a foot of snow in dallas?? Help me lower my 60 foot time! !